The BBC director general has said sorry to presenters who are facing big tax bills after being given no choice about changes to the way they were employed. Tony Hall admitted some stars had been told they would only have a career in the BBC if they were paid through their own personal service companies (PSCs). That led to around 100 presenters being investigated by tax authorities. Labour MP Caroline Flint said stars had been “hounded for not paying tax when they didn’t really have a choice”. The BBC has come under fire for telling some presenters they had to be paid through their own companies – meaning they were responsible for their own tax and didn’t get benefits like sick pay or maternity leave. 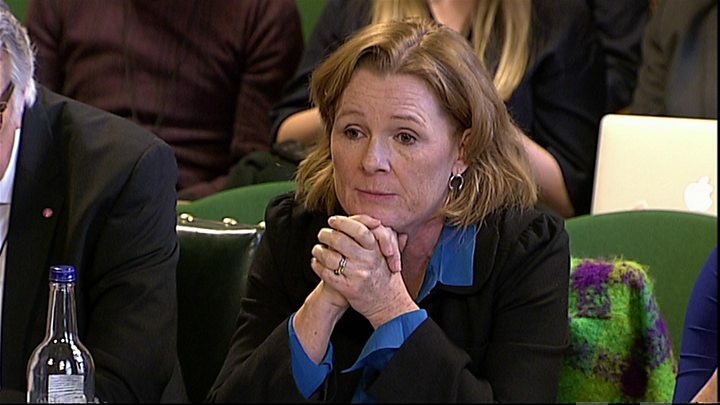 Meg Hillier MP, chair of the House of Commons Public Accounts Committee, told a hearing on Wednesday the fallout had “caused a lot of misery and hardship”. The presenters include BBC Radio 4 Front Row host Kirsty Lang, who has previously spoken about having to work through cancer treatment after being taken off a staff contract. Speaking to the committee on Wednesday, Lord Hall admitted “people were pushed into” the arrangements in the past but said he wanted to “repair that relationship” with the top talent. The corporation has identified 800 people whose employment had changed, including 300 with PSCs. Last October, Her Majesty’s Revenue and Customs [HMRC] said it had opened investigations into around 100 BBC-related PSCs. The BBC is now trying to reach a deal with HMRC to settle all the cases and Lord Hall said he had apologised to the affected presenters in person. “After April 2017, the meetings we’ve had with people who have been directly affected have allowed me to directly apologise to as many of those who were affected by this as we could do,” he said. “I’m very happy to repeat that again today. But what we’ve been trying to do over last two years since April 2017 is to work with those people. “We’ve had some very tough and hard meetings with some of the people who are affected by IR35 [tax laws] – very hard meetings. “Our aim is to get these things sorted. Why I put a huge amount of impetus on trying to sort this with HMRC is because I think that will actually allow these people to get on with their work and us to have a proper relationship with our presenters. The National Audit Office (NAO) has said some BBC News presenters were employed through PSCs from 2004-12, and other radio and TV hosts with contracts of more than six months and/or £10,000 per year were employed that way from 2008-12. A year ago, former Look North presenter Christa Ackroyd, who was among those who set up personal service companies, was left with a tax bill of up to £420,000 after losing a case against HMRC.